This article is about the poet. For other uses, see Matthew Arnold (disambiguation). Matthew Arnold (24 December 1822 – 15 April 1888) was an English poet and cultural critic who worked as an inspector of schools. He was the son of Thomas Arnold, the famed headmaster of Rugby School, and brother to both Tom Arnold, literary professor, and William Delafield Arnold, novelist and colonial administrator. Matthew Arnold has been characterised as a sage writer, a type of writer who chastises and instructs the reader on contemporary social issues. The Reverend John Keble stood as Godfather to Matthew. Thomas Arnold admired Keble's Christian Year, first published in 1827, but the elder Arnold became disappointed with Keble when he became a leader of the Oxford or Tractarian Movement (1833-1845), whose leaders had a plan for the renewal of the Church of England that Thomas Arnold regarded as too conservative and traditionalist. In 1828, Arnold's father was appointed Headmaster of Rugby School and his young family took up residence, that year, in the Headmaster's house. In 1831, Arnold was tutored by his uncle, Rev. John Buckland in the small village of Laleham. In 1834, the Arnolds occupied a holiday home, Fox How, in the Lake District. William Wordsworth was a neighbour and close friend. In 1836, Arnold was sent to Winchester College, but in 1837 he returned to Rugby School where he was enrolled in the fifth form. He moved to the sixth form in 1838 and thus came under the direct tutelage of his father. He wrote verse for the manuscript Fox How Magazine co-produced with his brother Tom for the family's enjoyment from 1838 to 1843. During his years there, he won school prizes for English essay writing, and Latin and English poetry. His prize poem, "Alaric at Rome," was printed at Rugby. In 1841, he won an open scholarship to Balliol College, Oxford. During his residence at Oxford, his friendship became stronger with Arthur Hugh Clough, another Rugby old boy who had been one of his father's favourites. Arnold attended John Henry Newman's sermons at St. Mary's but did not join the Oxford Movement. His father died suddenly of heart disease in 1842, and Fox How became his family's permanent residence. Arnold's poem Cromwell won the 1843 Newdigate prize. He graduated in the following year with a 2nd class honours degree in Literae Humaniores (colloquially Greats). In 1845, after a short interlude of teaching at Rugby, he was elected Fellow of Oriel College, Oxford. In 1847, he became Private Secretary to Lord Lansdowne, Lord President of the Council. In 1849, he published his first book of poetry, The Strayed Reveller. In 1850 Wordsworth died; Arnold published his "Memorial Verses" on the older poet in Fraser's Magazine. Wishing to marry, but unable to support a family on the wages of a private secretary, Arnold sought the position of, and was appointed, in April 1851, one of Her Majesty's Inspectors of Schools. Two months later, he married Frances Lucy, daughter of Sir William Wightman, Justice of the Queen's Bench. The Arnolds had six children: Thomas (1852–1868); Trevenen William (1853–1872); Richard Penrose (1855–1908), an inspector of factories; Lucy Charlotte (1858–1934) who married Frederick W. Whitridge of New York, whom she had met during Arnold's American lecture tour; Eleanore Mary Caroline (1861–1936) married (1) Hon. Armine Wodehouse (MP) in 1889, (2) William Mansfield, 1st Viscount Sandhurst, in 1909; Basil Francis (1866–1868). Arnold often described his duties as a school inspector as "drudgery," although "at other times he acknowledged the benefit of regular work." The inspectorship required him, at least at first, to travel constantly and across much of England. "Initially, Arnold was responsible for inspecting Nonconformist schools across a broad swath of central England. He spent many dreary hours during the 1850s in railway waiting-rooms and small-town hotels, and longer hours still in listening to children reciting their lessons and parents reciting their grievances. But that also meant that he, among the first generation of the railway age, travelled across more of England than any man of letters had ever done. Although his duties were later confined to a smaller area, Arnold knew the society of provincial England better than most of the metropolitan authors and politicians of the day." In 1852, Arnold published his second volume of poems, Empedocles on Etna, and Other Poems. In 1853, he published Poems: A New Edition, a selection from the two earlier volumes famously excluding Empedocles on Etna, but adding new poems, Sohrab and Rustum and The Scholar Gipsy. In 1854, Poems: Second Series appeared; also a selection, it included the new poem, Balder Dead. Arnold was elected Professor of Poetry at Oxford in 1857, and he was the first in this position to deliver his lectures in English rather than in Latin. He was re-elected in 1862. On Translating Homer (1861) and the initial thoughts that Arnold would transform into Culture and Anarchy were among the fruits of the Oxford lectures. In 1859, he conducted the first of three trips to the continent at the behest of parliament to study European educational practices. He self-published The Popular Education of France (1861), the introduction to which was later published under the title Democracy (1879). In 1865, Arnold published Essays in Criticism: First Series. Essays in Criticism: Second Series would not appear until November 1888, shortly after his untimely death. In 1866, he published Thyrsis, his elegy to Clough who had died in 1861. Culture and Anarchy, Arnold's major work in social criticism (and one of the few pieces of his prose work currently in print) was published in 1869. Literature and Dogma, Arnold's major work in religious criticism appeared in 1873. In 1883 and 1884, Arnold toured the United States and Canada delivering lectures on education, democracy and Ralph Waldo Emerson. He was elected a Foreign Honorary Member of the American Academy of Arts and Sciences in 1883. In 1886, he retired from school inspection and made another trip to America. An edition of Poems by Matthew Arnold, with an introduction by A. C. Benson and illustrations by Henry Ospovat, was published in 1900 by John Lane. Arnold died suddenly in 1888 of heart failure whilst running to meet a train that would have taken him to the Liverpool Landing Stage to see his daughter, who was visiting from the United States where she had moved after marrying an American. Mrs. Arnold died in June 1901. Caricature from Punch, 1881: "Admit that Homer sometimes nods, That poets do write trash, Our Bard has written "Balder Dead," And also Balder-dash"
"Matthew Arnold," wrote G. W. E. Russell in Portraits of the Seventies, is "a man of the world entirely free from worldliness and a man of letters without the faintest trace of pedantry". Arnold was a familiar figure at the Athenaeum Club, a frequent diner-out and guest at great country houses, charming, fond of fishing (but not of shooting), and a lively conversationalist, with a self-consciously cultivated air combining foppishness and Olympian grandeur. He read constantly, widely, and deeply, and in the intervals of supporting himself and his family by the quiet drudgery of school inspecting, filled notebook after notebook with meditations of an almost monastic tone. In his writings, he often baffled and sometimes annoyed his contemporaries by the apparent contradiction between his urbane, even frivolous manner in controversy, and the "high seriousness" of his critical views and the melancholy, almost plaintive note of much of his poetry. "A voice poking fun in the wilderness" was T. H. Warren's description of him. My poems represent, on the whole, the main movement of mind of the last quarter of a century, and thus they will probably have their day as people become conscious to themselves of what that movement of mind is, and interested in the literary productions which reflect it. It might be fairly urged that I have less poetical sentiment than Tennyson and less intellectual vigour and abundance than Browning; yet because I have perhaps more of a fusion of the two than either of them, and have more regularly applied that fusion to the main line of modern development, I am likely enough to have my turn as they have had theirs. Stefan Collini regards this as "an exceptionally frank, but not unjust, self-assessment. ... Arnold's poetry continues to have scholarly attention lavished upon it, in part because it seems to furnish such striking evidence for several central aspects of the intellectual history of the nineteenth century, especially the corrosion of 'Faith' by 'Doubt'. No poet, presumably, would wish to be summoned by later ages merely as an historical witness, but the sheer intellectual grasp of Arnold's verse renders it peculiarly liable to this treatment." Whatever his achievement as a critic of literature, society, or religion, his work as a poet may not merit the reputation it has continued to hold in the twentieth century. Arnold is, at his best, a very good but highly derivative poet. 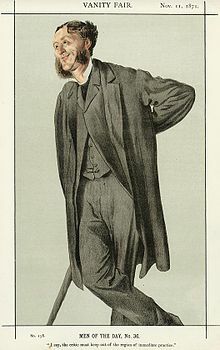 ... As with Tennyson, Hopkins, and Rossetti, Arnold's dominant precursor was Keats, but this is an unhappy puzzle, since Arnold (unlike the others) professed not to admire Keats greatly, while writing his own elegiac poems in a diction, meter, imagistic procedure, that are embarrassingly close to Keats. its simplicity, lucidity, and straightforwardness; its literalness ... ; the sparing use of aureate words, or of far-fetched words, which are all the more effective when they come; the avoidance of inversions, and the general directness of syntax, which gives full value to the delicacies of a varied rhythm, and makes it, of all verse that I know, the easiest to read aloud. He has a primary school named after him in Liverpool, where he died, and secondary schools named after him in Oxford and Staines. His literary career — leaving out the two prize poems — had begun in 1849 with the publication of The Strayed Reveller and Other Poems by A., which attracted little notice and was soon withdrawn. It contained what is perhaps Arnold's most purely poetical poem, "The Forsaken Merman." Empedocles on Etna and Other Poems (among them "Tristram and Iseult"), published in 1852, had a similar fate. In 1858 he published his tragedy of Merope, calculated, he wrote to a friend, "rather to inaugurate my Professorship with dignity than to move deeply the present race of humans," and chiefly remarkable for some experiments in unusual – and unsuccessful – metres. His 1867 poem, "Dover Beach," depicted a nightmarish world from which the old religious verities have receded. It is sometimes held up as an early, if not the first, example of the modern sensibility. In a famous preface to a selection of the poems of William Wordsworth, Arnold identified, a little ironically, as a "Wordsworthian." The influence of Wordsworth, both in ideas and in diction, is unmistakable in Arnold's best poetry. Arnold's poem, "Dover Beach" was included in Ray Bradbury's novel, Fahrenheit 451, and is also featured prominently in the novel Saturday by Ian McEwan. It has also been quoted or alluded to in a variety of other contexts (see Dover Beach). Some consider Arnold to be the bridge between Romanticism and Modernism. His use of symbolic landscapes was typical of the Romantic era, while his sceptical and pessimistic perspective was typical of the Modern era. The rationalistic tendency of certain of his writings gave offence to many readers, and the sufficiency of his equipment in scholarship for dealing with some of the subjects which he handled was called in question, but he undoubtedly exercised a stimulating influence on his time. His writings are characterised by the finest culture, high purpose, sincerity, and a style of great distinction, and much of his poetry has an exquisite and subtle beauty, though here also it has been doubted whether high culture and wide knowledge of poetry did not sometimes take the place of true poetic fire. Henry James wrote that Matthew Arnold's poetry will appeal to those who "like their pleasures rare" and who like to hear the poet "taking breath." Arnold valued natural scenery for its peace and permanence in contrast with the ceaseless change of human things. His descriptions are often picturesque, and marked by striking similes. However, at the same time he liked subdued colours, mist and moonlight. He seems to prefer the 'spent lights' of the sea-depths in "The Forsaken Merman" to the village life preferred by the merman's lost wife. In his poetry he derived not only the subject matter of his narrative poems from various traditional or literary sources but even much of the romantic melancholy of his earlier poems from Senancour's "Obermann". Assessing the importance of Arnold's prose work in 1988, Stefan Collini stated, "for reasons to do with our own cultural preoccupations as much as with the merits of his writing, the best of his prose has a claim on us today that cannot be matched by his poetry." "Certainly there may still be some readers who, vaguely recalling 'Dover Beach' or 'The Scholar Gipsy' from school anthologies, are surprised to find he 'also' wrote prose." George Watson follows George Saintsbury in dividing Arnold's career as a prose writer into three phases: 1) early literary criticism that begins with his preface to the 1853 edition of his poems and ends with the first series of Essays in Criticism (1865); 2) a prolonged middle period (overlapping the first and third phases) characterised by social, political and religious writing (roughly 1860–1875); 3) a return to literary criticism with the selecting and editing of collections of Wordsworth's and Byron's poetry and the second series of Essays in Criticism. Both Watson and Saintsbury declare their preference for Arnold's literary criticism over his social or religious criticism. More recent writers, such as Collini, have shown a greater interest in his social writing, while over the years a significant second tier of criticism has focused on Arnold's religious writing. His writing on education has not drawn a significant critical endeavour separable from the criticism of his social writings. Arnold's work as a literary critic began with the 1853 "Preface to the Poems". In it, he attempted to explain his extreme act of self-censorship in excluding the dramatic poem "Empedocles on Etna". With its emphasis on the importance of subject in poetry, on "clearness of arrangement, rigor of development, simplicity of style" learned from the Greeks, and in the strong imprint of Goethe and Wordsworth, may be observed nearly all the essential elements in his critical theory. George Watson described the preface, written by the thirty-one-year-old Arnold, as "oddly stiff and graceless when we think of the elegance of his later prose." Criticism began to take first place in Arnold's writing with his appointment in 1857 to the professorship of poetry at Oxford, which he held for two successive terms of five years. In 1861 his lectures On Translating Homer were published, to be followed in 1862 by Last Words on Translating Homer, both volumes admirable in style and full of striking judgments and suggestive remarks, but built on rather arbitrary assumptions and reaching no well-established conclusions. Especially characteristic, both of his defects and his qualities, are on the one hand, Arnold's unconvincing advocacy of English hexameters and his creation of a kind of literary absolute in the "grand style," and, on the other, his keen feeling of the need for a disinterested and intelligent criticism in England. Although Arnold's poetry received only mixed reviews and attention during his lifetime, his forays into literary criticism were more successful. Arnold is famous for introducing a methodology of literary criticism somewhere between the historicist approach common to many critics at the time and the personal essay; he often moved quickly and easily from literary subjects to political and social issues. His Essays in Criticism (1865, 1888), remains a significant influence on critics to this day, and his prefatory essay to that collection, "The Function of Criticism at the Present Time", is one of the most influential essays written on the role of the critic in identifying and elevating literature — even while admitting, "The critical power is of lower rank than the creative." Comparing himself to the French liberal essayist Ernest Renan, who sought to inculcate morality in France, Arnold saw his role as inculcating intelligence in England. In one of his most famous essays on the topic, "The Study of Poetry", Arnold wrote that, "Without poetry, our science will appear incomplete; and most of what now passes with us for religion and philosophy will be replaced by poetry". He considered the most important criteria used to judge the value of a poem were "high truth" and "high seriousness". By this standard, Chaucer's Canterbury Tales did not merit Arnold's approval. Further, Arnold thought the works that had been proven to possess both "high truth" and "high seriousness", such as those of Shakespeare and Milton, could be used as a basis of comparison to determine the merit of other works of poetry. He also sought for literary criticism to remain disinterested, and said that the appreciation should be of "the object as in itself it really is." He was led on from literary criticism to a more general critique of the spirit of his age. Between 1867 and 1869 he wrote Culture and Anarchy, famous for the term he popularised for the middle class of the English Victorian era population: "Philistines", a word which derives its modern cultural meaning (in English – the German-language usage was well established) from him. Culture and Anarchy is also famous for its popularisation of the phrase "sweetness and light," first coined by Jonathan Swift. In Culture and Anarchy, Arnold identifies himself as a Liberal and "a believer in culture" and takes up what historian Richard Bellamy calls the "broadly Gladstonian effort to transform the Liberal Party into a vehicle of political moralism." Arnold viewed with skepticism the plutocratic grasping in socioeconomic affairs, and engaged the questions which vexed many Victorian liberals on the nature of power and the state's role in moral guidance. Arnold vigorously attacked the Nonconformists and the arrogance of "the great Philistine middle-class, the master force in our politics." The Philistines were "humdrum people, slaves to routine, enemies to light" who believed that England's greatness was due to her material wealth alone and took little interest in culture. Liberal education was essential, and by that Arnold meant a close reading and attachment to the cultural classics, coupled with critical reflection. Arnold saw the "experience" and "reflection" of Liberalism as naturally leading to the ethical end of "renouncement," as evoking the "best self" to suppress one's "ordinary self." Despite his quarrels with the Nonconformists, Arnold remained a loyal Liberal throughout his life, and in 1883, William Gladstone awarded him an annual pension of 250 pounds "as a public recognition of service to the poetry and literature of England." Many subsequent critics such as Edward Alexander, Lionel Trilling, George Scialabba, and Russell Jacoby have emphasized the liberal character of Arnold's thought. Hugh Stuart Jones describes Arnold's work as a "liberal critique of Victorian liberalism" while Alan S. Kahan places Arnold's critique of middle-class philistinism, materialism, and mediocrity within the tradition of 'aristocratic liberalism' as exemplified by liberal thinkers such as John Stuart Mill and Alexis de Tocqueville. Arnold's "want of logic and thoroughness of thought" as noted by John M. Robertson in Modern Humanists was an aspect of the inconsistency of which Arnold was accused. Few of his ideas were his own, and he failed to reconcile the conflicting influences which moved him so strongly. "There are four people, in especial," he once wrote to Cardinal Newman, "from whom I am conscious of having learnt – a very different thing from merely receiving a strong impression – learnt habits, methods, ruling ideas, which are constantly with me; and the four are – Goethe, Wordsworth, Sainte-Beuve, and yourself." Dr. Arnold must be added; the son's fundamental likeness to the father was early pointed out by Swinburne, and was later attested by Matthew Arnold's grandson, Mr. Arnold Whitridge. Others such as Stefan Collini suggest that much of the criticism aimed at Arnold is based on "a convenient parody of what he is supposed to have stood for" rather than the genuine article. In 1887, Arnold was credited with coining the phrase "New Journalism", a term that went on to define an entire genre of newspaper history, particularly Lord Northcliffe's turn-of-the-century press empire. However, at the time, the target of Arnold's irritation was not Northcliffe, but the sensational journalism of Pall Mall Gazette editor, W.T. Stead. Arnold had enjoyed a long and mutually beneficial association with the Pall Mall Gazette since its inception in 1865. As an occasional contributor, he had formed a particular friendship with its first editor, Frederick Greenwood and a close acquaintance with its second, John Morley. But he strongly disapproved of the muck-raking Stead, and declared that, under Stead, "the P.M.G., whatever may be its merits, is fast ceasing to be literature." He was appalled at the shamelessness of the sensationalistic new journalism of the sort he witnessed on his tour the United States in 1886. In his account of that tour, "Civilization in the United States", he observed, "if one were searching for the best means to efface and kill in a whole nation the discipline of self-respect, the feeling for what is elevated, he could do no better than take the American newspapers." His religious views were unusual for his time and caused sorrow to some of his best friends. Scholars of Arnold's works disagree on the nature of Arnold's personal religious beliefs. Under the influence of Baruch Spinoza and his father, Dr. Thomas Arnold, he rejected the supernatural elements in religion, even while retaining a fascination for church rituals. Arnold seems to belong to a middle ground that is more concerned with the poetry of religion and its virtues and values for society than with the existence of God. In the preface to God and the Bible, written in 1875, Arnold recounts a powerful sermon he attended discussing the "salvation by Jesus Christ", he writes: "Never let us deny to this story power and pathos, or treat with hostility ideas which have entered so deep into the life of Christendom. But the story is not true; it never really happened". He continues to express his concern with Biblical truth explaining that "The personages of the Christian heaven and their conversations are no more matter of fact than the personages of the Greek Olympus and their conversations." He also wrote in Literature and Dogma: "The word 'God' is used in most cases as by no means a term of science or exact knowledge, but a term of poetry and eloquence, a term thrown out, so to speak, as a not fully grasped object of the speaker's consciousness – a literary term, in short; and mankind mean different things by it as their consciousness differs." He defined religion as "morality touched with emotion". However, he also wrote in the same book, "to pass from a Christianity relying on its miracles to a Christianity relying on its natural truth is a great change. It can only be brought about by those whose attachment to Christianity is such, that they cannot part with it, and yet cannot but deal with it sincerely." The writer John Cowper Powys, an admirer, wrote that, "with the possible exception of Merope, Matthew Arnold's poetry is arresting from cover to cover – [he] is the great amateur of English poetry [he] always has the air of an ironic and urbane scholar chatting freely, perhaps a little indiscreetly, with his not very respectful pupils." ^ Landow, George. Elegant Jeremiahs: The Sage from Carlyle to Mailer. Ithaca, New York: Cornell University Press, 1986. ^ Composer Edward Elgar dedicated one of the Enigma Variations to Richard. ^ Collini, 1988, p. 21. ^ Super, CPW, II, p. 330. ^ "Literary Gossip". The Week : a Canadian journal of politics, literature, science and arts. 1. 1: 13. 6 December 1883. ^ "Obituary – Mrs. Matthew Arnold". The Times (36495). London. 1 July 1901. p. 11. ^ Collini, 1988, p. 2. ^ Lang, Volume 3, p. 347. ^ Collini, 1988, p. 26. ^ Bloom, 1987, pp. 1–2. ^ Chambers, 1933, p. 159. ^ Chambers, 1933, p. 165. ^ Collini, 1988, p. vii. ^ Collini, 1988, p. 25. ^ Watson, 1962, pp. 150–160. Saintsbury, 1899, p. 78 passim. ^ Collini, 1988. Also see the introduction to Culture and Anarchy and other writings, Collini, 1993. ^ See "The Critical Reception of Arnold's Religious Writings" in Mazzeno, 1999. ^ Arnold, Matthew (1913). William S. Johnson (ed.). Selections from the Prose Work of Matthew Arnold. Houghton Mifflin. ^ Watson, 1962, p. 147. ^ Machann, C (1998). Matthew Arnold: A Literary Life. Springer. pp. 45–61. ^ The New Dictionary of Cultural Literacy, Third Edition. Sweetness and light. Houghton Mifflin Company. ^ Born, Daniel (1995). The Birth of Liberal Guilt in the English Novel: Charles Dickens to H.G. Wells. UNC Press Books. p. 165. ^ a b c Caufield, James Walter (2016). Overcoming Matthew Arnold: Ethics in Culture and Criticism. Routledge. pp. 3–7. ^ Malachuk, D. (2005). Perfection, the State, and Victorian Liberalism. Springer. pp. 87–88. ^ a b Brendan A. Rapple (2017). Matthew Arnold and English Education: The Poet's Pioneering Advocacy in Middle Class Instruction. McFarland. pp. 98–99. ^ Brendan A. Rapple (2017). Matthew Arnold and English Education: The Poet's Pioneering Advocacy in Middle Class Instruction. McFarland. p. 116. ^ Machann, C (1998). Matthew Arnold: A Literary Life. Springer. p. 19. ^ Bush, Douglas (1971). Matthew Arnold: A Survey of His Poetry and Prose. Springer. p. 15. ^ Jones, Richard (2002). "Arnold "at Full Stretch"". Virginia Quarterly Review. 78 (2). ^ Jacoby, Russell (2005). Picture Imperfect: Utopian Thought for an Anti-Utopian Age. Columbia University Press. p. 67. ^ Alexander, Edward (2014). Matthew Arnold and John Stuart Mill. Routledge. I have tried to show to what a considerable extent each shared the convictions of the other; how much of a liberal Arnold was and how much of a humanist Mill was. ^ Rodden, John (1999). Lionel Trilling and the Critics. University of Nebraska Press. pp. 215–222. ^ Campbell, Kate (2018). Matthew Arnold. Oxford University Press. p. 93. ^ Kahan, Alan S. (2012). "Arnold, Nietzsche and the Aristocratic Vision". History of Political Thought. 33 (1): 125–143. ^ Gurstein, Rochelle (2016). The Repeal of Reticence: America's Cultural and Legal Struggles Over Free Speech, Obscenity, Sexual Liberation, and Modern Art. Farrar, Straus and Giroux. pp. 57–58. ^ a b Super, CPW, VII, p. 384. ^ Super, CPW, VI, p. 171. ^ Super, CPW, VI, p. 176. ^ Super, CPW, VI, p. 143. Abbreviation: CPW stands for Robert H. Super (editor), The Complete Prose Works of Matthew Arnold, see Bibliography. Published seven years after their author's death these letters were heavily edited by Arnold's family. Part of the "Annotated English Poets Series," Allott includes 145 poems (with fragments and juvenilia) all fully annotated. A strong selection from Miriam Allot, who had (silently) assisted her husband in editing the Longman Norton annotated edition of Arnold's poems, and Robert H. Super, editor of the eleven volume complete prose. Stefan Collini (editor), Culture and Anarchy and other writings (Cambridge: Cambridge University Press, 1993) part of the Cambridge Texts in the History of Political Thought series. Collini's introduction to this edition attempts to show that "Culture and Anarchy, first published in 1869, has left a lasting impress upon subsequent debate about the relation between politics and culture" —Introduction, p. ix. Saintsbury combines biography with critical appraisal. In his view, "Arnold's greatness lies in 'his general literary position' (p. 227). Neither the greatest poet nor the greatest critic, Arnold was able to achieve distinction in both areas, making his contributions to literature greater than those of virtually any other writer before him." Mazzeno, 1999, p. 8. Trilling called his study a "biography of a mind." "Trilling's book challenged and delighted me but failed to take me close to Matthew Arnold's life. ... I decided in 1970 to write a definitive biography ... Three-quarters of the biographical data in this book, I may say, has not appeared in a previous study of Arnold." —Preface, pp. viii–ix. A good starting point for those new to Arnold's prose. "Like many late century scholars, Collini believes Arnold's chief contribution to English literature is as a critic. ... Collini insists Arnold remains a force in literary criticism because 'he characterizes in unforgettable ways' the role that literary and cultural criticism 'can and must play in modern societies'" (p 67). Mazzeno, 1999, pp. 103–104. "...focuses on the conflicts between Arnold's public and private lives. A poet himself, Murray believes Arnold was a superb poet who turned to criticism when he realised his gift for verse was fading." Mazzeno, 1999, p. 118. "Choosing to concentrate on the development of Arnold's talents as a poet, Hamilton takes great pains to explore the biographical and literary sources of Arnold's verse." Mazzeno, 1999, p. 118. Not a true bibliography, nonetheless, it provides thorough coverage and intelligent commentary for the critical writings on Arnold. Stephen, Leslie (1898). "Matthew Arnold". Studies of a Biographer. 2. London: Duckworth and Co. pp. 76–122. This is Eliot's second essay on Matthew Arnold. The title of the series consciously echoes Arnold's essay, "The Function of Criticism at the Present Time" (1864). Mazzeno describes this as the "definitive word" on Arnold's educational thought. Mazzeno, 1999, p. 42. A. Dwight Culler, "Imaginative Reason: The Poetry of Matthew Arnold" (New Haven: Yale University Press, 1966). Described by Stefan Collini as "the most comprehensive discussion" of the poetry in his "Arnold" Past Masters, p.121. David J. DeLaura, "Hebrew and Hellene in Victorian England: Newman, Arnold, and Pater" (Austin: University of Texas Pr, 1969). This celebrated study brilliantly situates Arnold in the intellectual history of his time. "...explores Arnold's attempts to find an authoratative language, and argues that his occasional claims for such language reveal more uneasiness than confidence in the value of 'letters.' ... Riede argues that Arnold's determined efforts to write with authority, combined with his deep-seated suspicion of his medium, result in an exciting if often agonised tension in his poetic language." –from the book flap. Wikimedia Commons has media related to Matthew Arnold. "MATTHEW ARNOLD (Obituary Notice, Tuesday, April 17, 1888)". Eminent Persons: Biographies reprinted from The Times. IV (1887-1890). London: Macmillan and Co., Limited. 1893. pp. 87–96. Retrieved 12 March 2019 – via Internet Archive. Full text of 'The Function of Criticism at the Present Time' at The Fortnightly Review. "Archival material relating to Matthew Arnold". UK National Archives. Plaque #38 on Open Plaques. Anonymous (1873). Cartoon portraits and biographical sketches of men of the day. Illustrated by Frederick Waddy. London: Tinsley Brothers. pp. 136–37. Retrieved 13 March 2011. This page was last edited on 29 March 2019, at 13:48 (UTC).